One of the most important elements of a successful program in an acute care setting is what we are labeling a Substance Use Navigator, or SUN. During the course of 2019-2020, the California Bridge Program will be providing extensive training for the Substance Use Navigator (SUN) at selected sites throughout California. 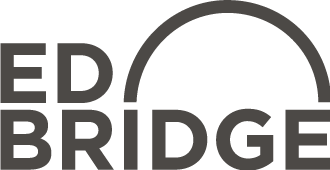 The Bridge team will provide a thorough on-boarding educational package to create familiarity and understanding of evidence-based medicine for substance use disorders. Additionally, SUNs across the state will be participating in an ongoing and intensive training program with the Bridge team and that includes motivational interviewing training and other specialty support through the Harm Reduction Coalition (HRC) and Mentoring in Medicine and Science (MIMS). The SUN’s hospital-based work will be enhanced through the entire network of SUNs along with Bridge leadership on weekly coaching calls, site visits, and other activities to develop the individual SUN as well as ensure a collective network of learning and support. The California Bridge Program intends to further support SUNs at selected sites by providing cell phones and phone service, and travel support to attend regular training and regional networking and outreach. The preparation for hiring an appropriate SUN for your setting can be a daunting task. The California Bridge team has developed a template job description to help lay the foundation for this role at hospitals across the state Please see this template job description of the key elements that we associate with a Substance Use Navigator (SUN).